Spring is in the air! The mornings are getting brighter and the air is getting warmer. 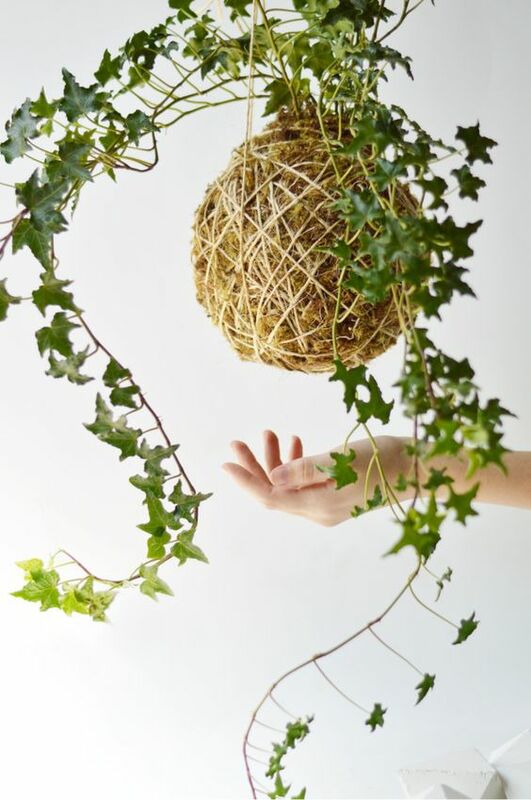 Thanks to all of our readers who have been friending us and following us 🙂 🙂 We got some major inspiration from our new friend Connie Dercho from Bellafloradesign when she posted her just-finished kokedama on IG. 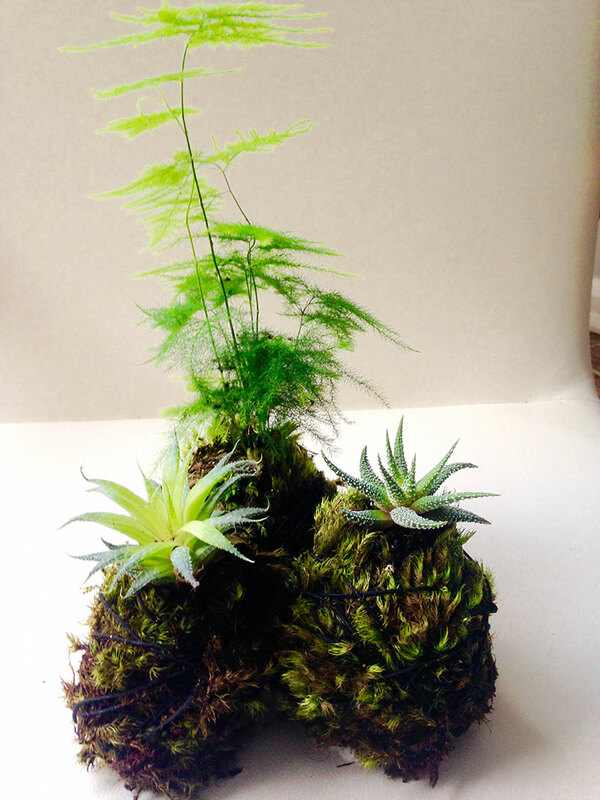 How beautiful are these plants in their moss pots?? If you like the serenity and artistry of bonsai trees, then you will love creating a mini Japanese indoor garden. Kokedama means “moss ball” in Japanese and dates back to the Edo era in Japan, circa 1600. 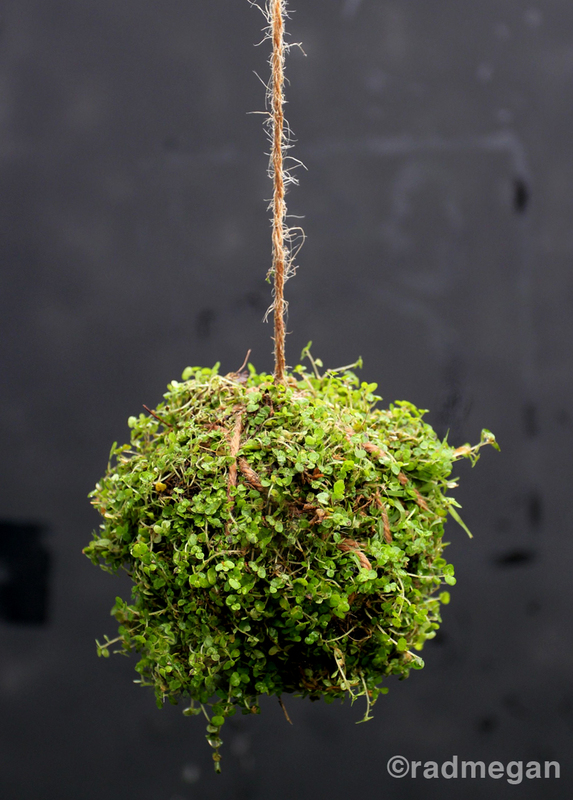 Plants are placed in a moss ball which retains moisture instead of a pot. This makes them easy to hang or display and adds a certain delicate touch as well. Houseplants are so good for improving oxygen and circulating chi in your home. 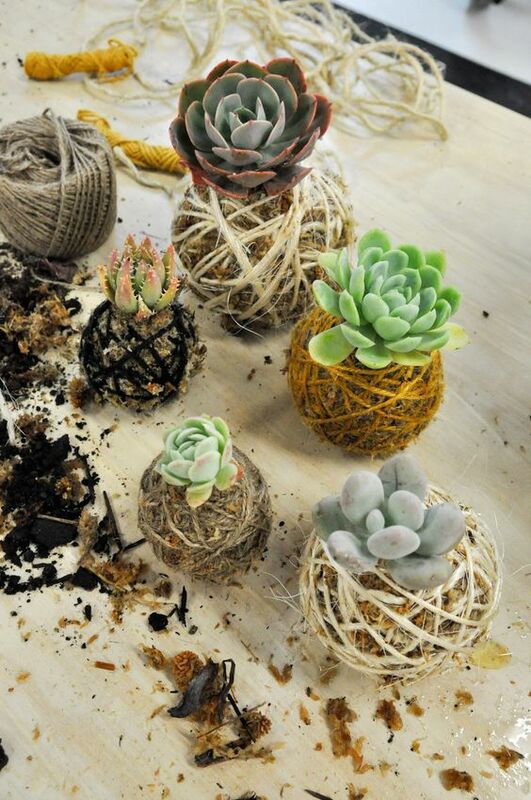 Adding macrame planters and kokedama string gardens liven up dead corners and empty spaces. They are fairly simple to make and are even easier to take care of! 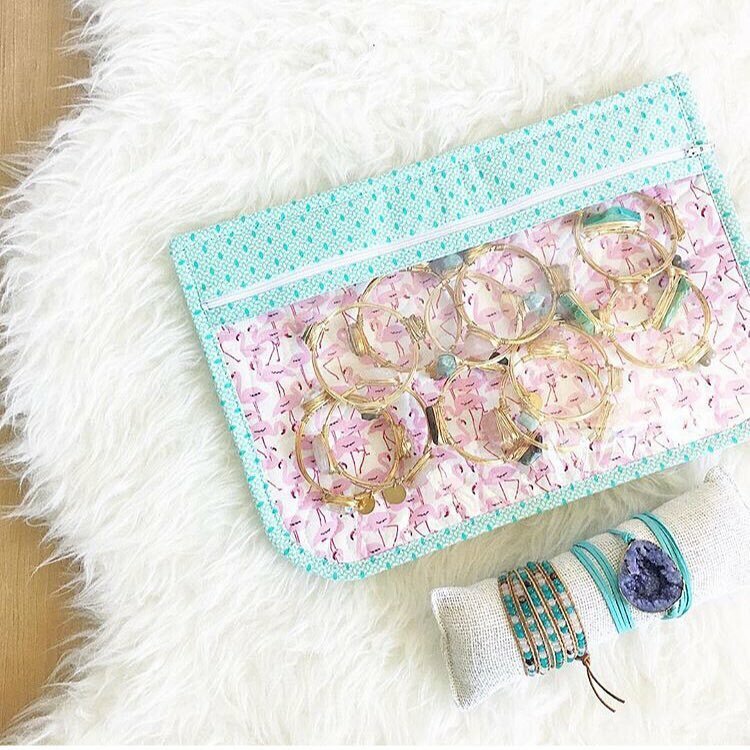 We asked Connie if she would share some info on her beautiful creations and she surprised us with an easy DIY! 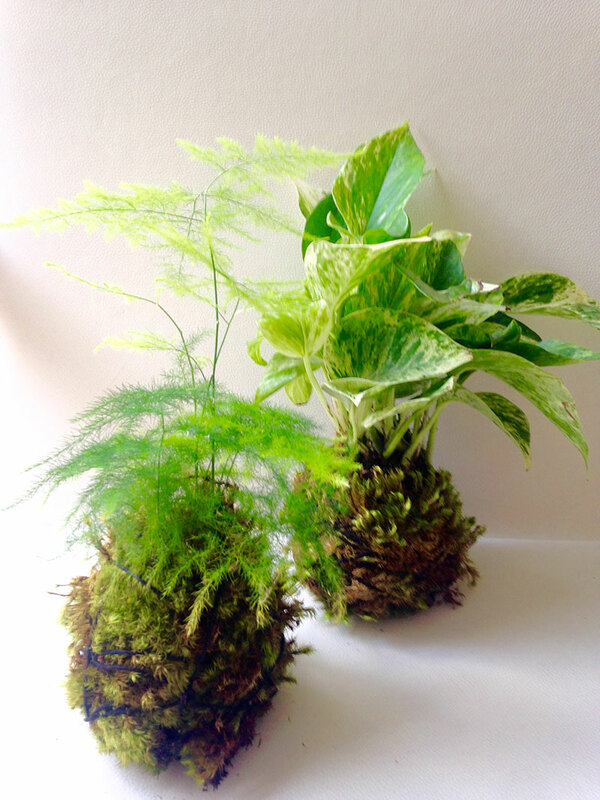 Kokedama is made using soil, peat moss, water and moss sheets. All items can be found at a local gardening center such as Armstrong Gardens here in California. Once you have your materials, you can make a Japanese indoor garden in an afternoon! Perfect project for those times when you’ve got a little freedom and need to exercise some creativity. In a bowl, create a mixture of good quality potting soil and peat moss. You can also use bonsai soil, but potting soil works just as well. Form a mud pie, in the shape of a ball. 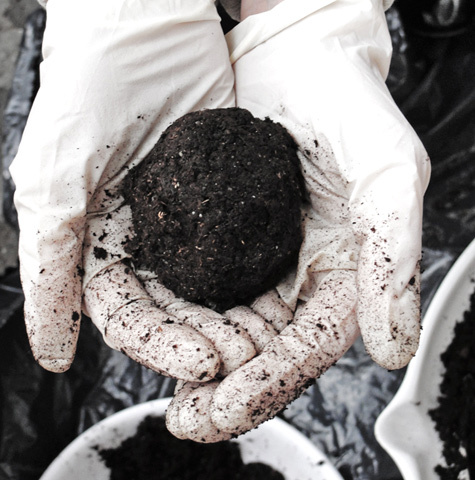 The larger the plant, the larger mud ball you will need. Take your plant and remove it from the original pot. Shake off the soil, until it is bare rooted. Take your mud ball and break in half. Stick your plant’s roots in the middle of the ball. You may have to add more mud. Pick Your String and Go! Now that you’ve got your plant in its mud ball, you’ve got a few more easy steps to go. Time to add the soaked moss and some string! Your moss sheets should be about done soaking in water (about a half hour) and should be nice and moist. Lay your moss out on a flat surface, with the green moss on the outside. Take your mud ball and lay it down on the moss. Carefully wrap the ball with moss. 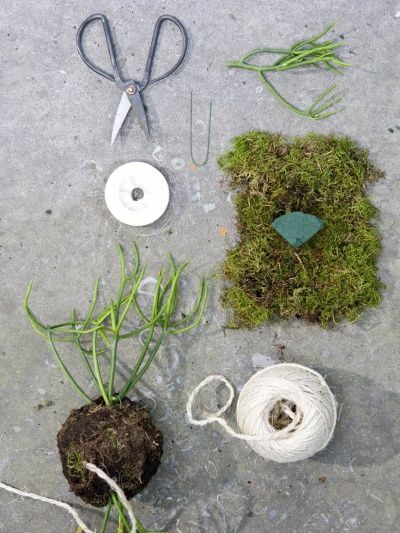 Using twine, or string, start securing the moss, so it will stay in place. 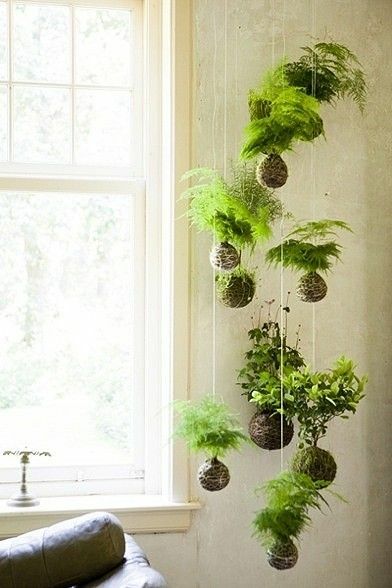 You can also use the same string to tie or hang your moss ball. Connie has been using black string to blend with the moss, but you can use any color you like. If hanging, simply attach the string in three locations on the moss ball in desired length. You’re just about done! Time to give your creation a little rest before hanging or displaying. When complete, the ball should feel wet/damp. Lay the finished product on a surface that it will be able to dry out on, before displaying or hanging. Once it’s dried a little, maintenance is easy! Water with a spray bottle (depending on the plant’s needs) or give a quick soak in some water. According to Connie, the smaller the plant, the smaller the root ball and the easier it is! Succulents work very well as they don’t need the water required with tropicals. Use her creations for inspiration and go get started! Aren’t these adorable? Thanks again to Connie for helping us discover these beautiful and easy-to-maintain plants. We love her Instagram posts! She is always finding unique ways to present plantings of succulents, tropical plants and cactus. She also sources vintage pottery of all eras; natural birch or wooden containers and (most recently) moss pots! Be sure to follow @bellafloradesign on Instagram for more info or pictures of her delightful creations. For all of our readers living in the Toronto, Canada area, Connie is also available for beautiful custom arrangements. (You lucky dogs.) Kokedama, here we come! Designnook 2038 Danforth Rd, Toronto, Arts Market, 790 Queen Street East, Toronto. Thank you for sharing this … I’ve followed Connie for the few months I’ve been on IG and absolutely love everything she does … from her stylish plants and MCM finds to her gorgeous home … not to mention how kind and supportive she is … well done !! Thanks Lori! We had a great experience working with her on this article. She has a great eye and we can’t wait to collaborate with her again soon! What a lovely idea for a window!